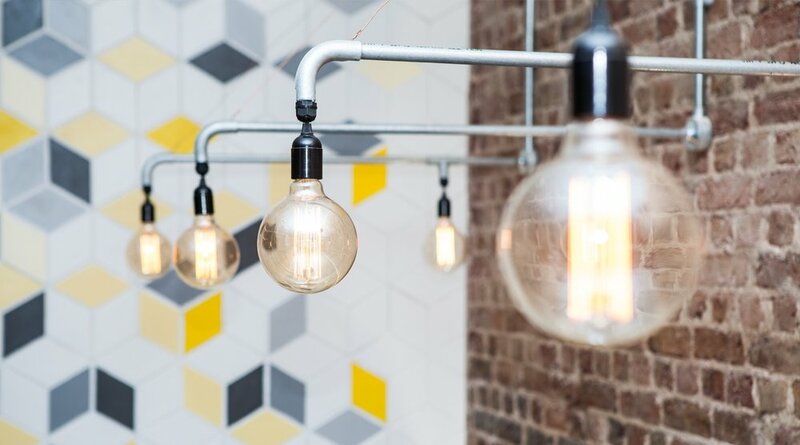 Working to a tight timescale and budget we updated a Moroccan restaurant to an upmarket contemporary restaurant with an 'industrial theme'. 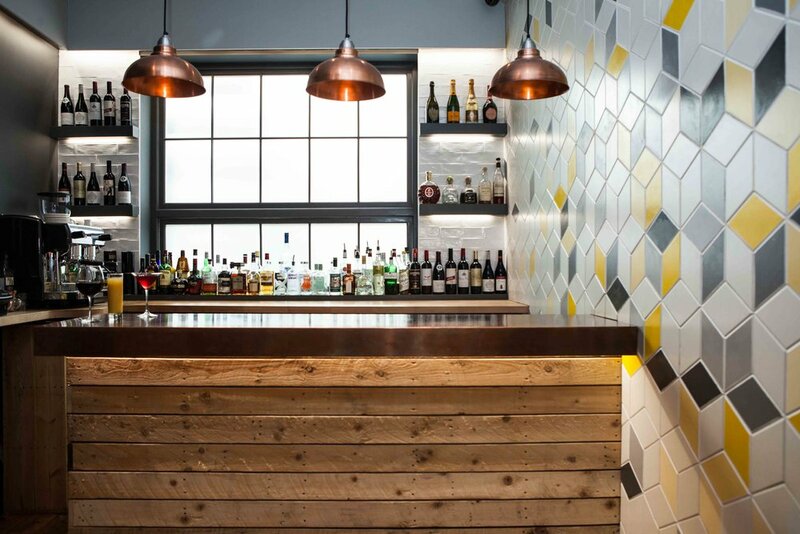 We exposed the original brickwork along with a pallet of yellows & greys, copper and reclaimed timber. 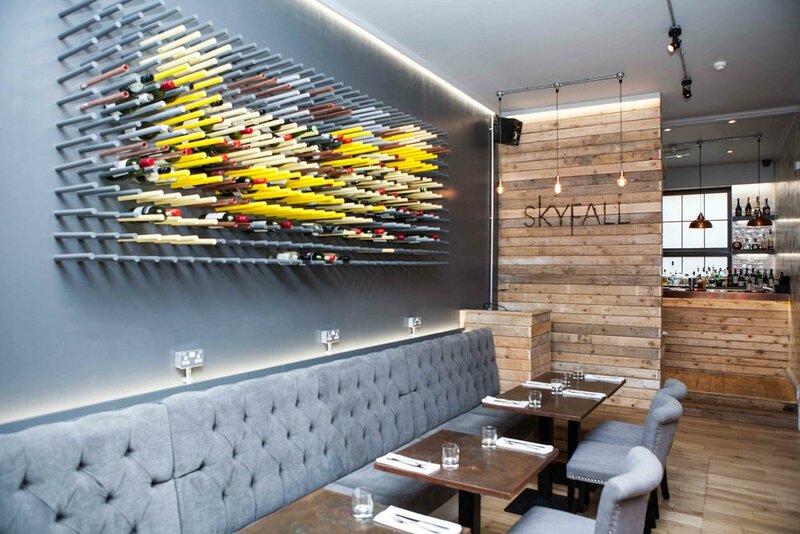 We designed the feature wall using CNC cut timber in to diamond tiles, which were site painted and assembled. Copper and timber dowels were used to create the bespoke floating wine rack and exposed conduit to create lighting features. The bar, tables and front door have been clad in copper fabricated at a local sheet metal workers.